Deciding on a gift for a co-worker or acquaintance can be difficult. Sometimes it can even be difficult to decide on a great gift for a friend or family member. Gift cards mean you don’t have to pick out something, but they’re also very impersonal. Flowers can say too much sometimes, and they aren’t always the best gift for men. But if you buy something from a store, you run the risk of getting something the person doesn’t like or already has. So what’s the solution? How about a gift basket? Gift baskets make a perfect gift for several reasons. 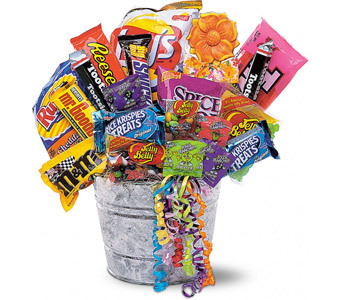 Most gift baskets feature fruits, candy, and other snacks. This is a great gift because you can never have enough food. Gift baskets are also unisex and can be personalized for a man or woman. For example, some gift baskets do have themes designed for one gender or the other, but many work for both. The biggest decision you’ll have to make with a gift basket is what you want in it. Some people try to avoid junk food, so you’d want to go with a fruit basket or gourmet foods for them. Others love their junk food and would be thrilled to get a whole basket of chocolates. Two other things may impact your decision. Do you want a gift basket that has an extra or two in it? For example, some gift baskets do have a small flower arrangement with them, and some feature mugs or a bottle of cider. The other decision is size. Do you want to go with a huge gift basket full of different foods that can feed a family, or a medium sized one that’s perfect for one person? Once you’ve made these decisions, all you have to do is select the appropriate basket and send it to the recipient. Taa-daa, the perfect gift! Send a gift basket in Washington DC, Northern Virginia, Maryland or Nationwide.